Last night, Hollywood Gothique quaffed sizzling sample of its own potent witches brew, following our recommended home haunt itinerary for Simi Valley and Thousand Oaks. 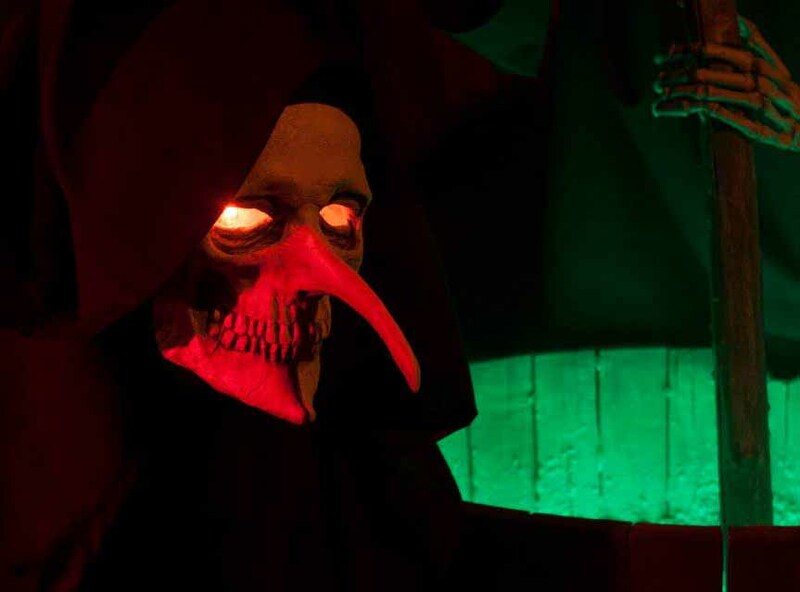 Since it is a paid, professional quality attraction, we review the Reign of Terror Haunted House here; now we offer our reactions to the yards haunts we explored in those distant lands. Via Del Lago in Thousand Oaks. Photo by William Greca. 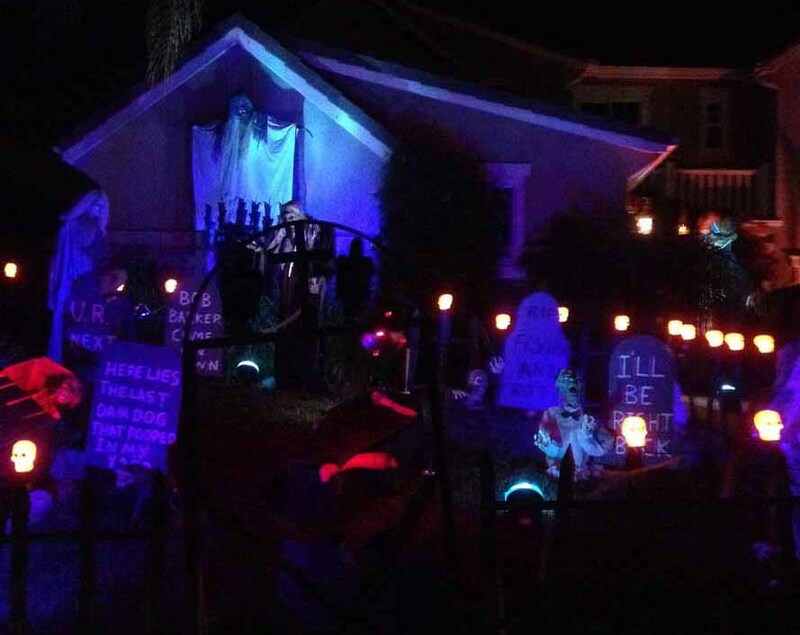 We began this year's Halloween Yard Haunt Odyssey with a trip to a newly discovered display in a very upscale neighborhood on Via Del Lago in Newbury Park (a community in the western portion of Thousand Oaks). This apparently unnamed haunt (which we have christened Via Del Lago Haunt for the time being) is situated in the front yard of impressive size; we don't know whether to call the abode a large house or a small mansion, but either way there is plenty of room for decorations: coffins, skeletons, a silently screaming face projected into a second-floor window, and tombstones - lots and lots of tombstones. The defining feature of this yard haunt has to be the jokey inscriptions on the gravestones ("Bob Barker, come on down!" "Here lies the last dog that pooped in my yard"). There was no sign of a walk-through, and we suspect the tone on Halloween night will be more whimsical than terrifying, but this looks like a great place for neighborhood trick-or-treating (one or two other houses are getting in on the act). If you happen to be in the area (say at the Reign of Terror in Thousand Oaks), then consider travelling another fifteen minutes to do a drive-by of this home haunt. The address is 418 Via Del Lago, which is a small cul-de-sac in the Dos Vientos neighborhood of Newbury Park in Thousand Oaks. When you turn the corner onto Via Del Lago, the house is quite literally impossible to miss. There were no posted hours, but the lights were on when we stopped by after 9pm on a Thursday. The should be on at least until 10pm on Halloween Night. Leaving Thousand Oaks behind, Hollywood Gothique took the 23 Freeway North to the 118, heading east toward Simi Valley, where we revisited Mourning Rose Manor for the since 2011. We found this home haunt much changed in three years: though still essentially a front lawn display, it features a substantially different layout with several new decorations, including one or two nice effects: a skeleton pop-scare; a green tunnel of light in the fog; and talking spectre. More significantly, the mood seems different, darker. Before, Mourning Rose offered a fairly benign display - atmospheric but more amusing than moody. 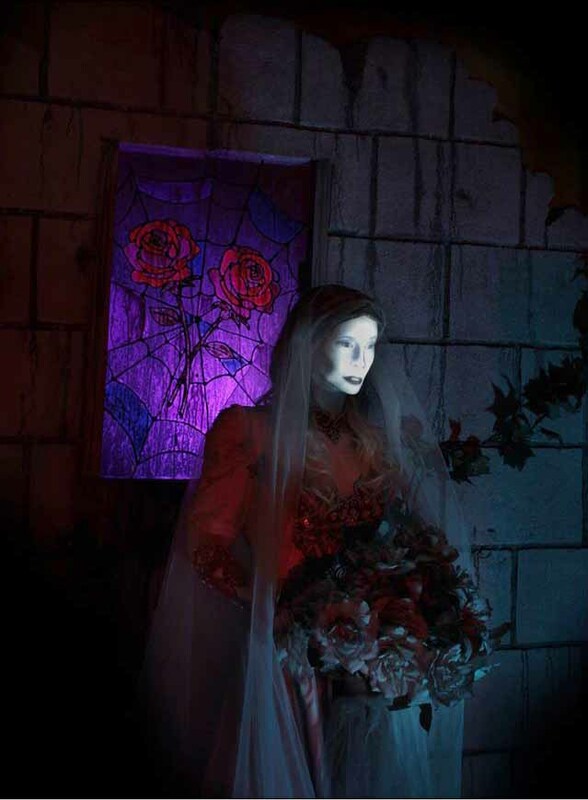 Now the music adds an aura of gloom over the simulated graveyard, and a mournful Bride in Black relates the story of how she and other lost souls came to be trapped in this haunted limbo. The result is eerie - worth stopping for a look and listen, not merely a quick drive-by. Mourning Rose Manor is open tonight and tomorrow, from dusk until 11pm. The address is 5250 Aurelia Street in Simi Valley. 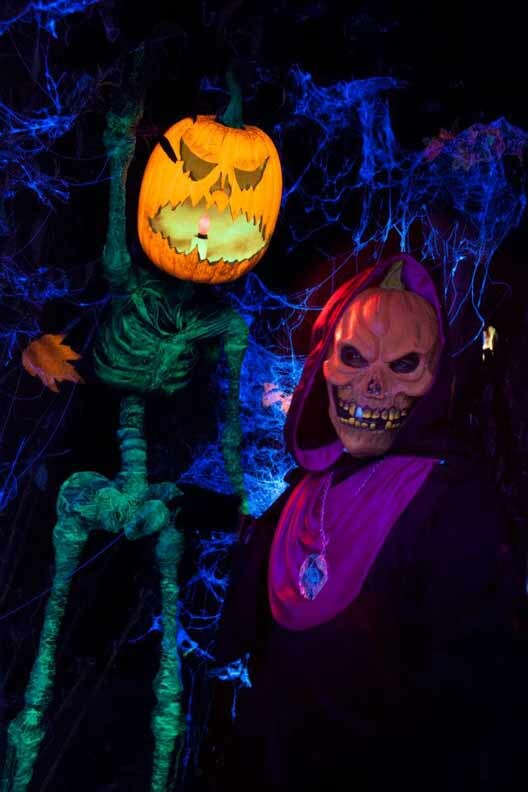 A witch-like figure stirs a cauldron inside the Haunt at Hellizondo. Next we braved several a few more miles of freeway to investigate the witch persecutions taking place within The Haunt at Hellizondo - which, like Mourning Rose Manor, we had not visited since 2011. When last we visited, the theme was "Carnival of Risk" (and you know how we feel about carnivals and clowns at Halloween). Fortunately, this Halloween's theme is The Witches of Scabtree Hollow - a much more promising subject. This is a repeat of 2013's theme, but judging from photos we have seen, the layout has been modified, replacing a row of gallows with some period-appropriate buildings in the driveway. There are three sections to this haunt: First you walk among the buildings in the driveway, reading old-fashioned poster extolling the necessity of wiping out witches. This is mostly prelude, setting you up for what is to come, but we thought we detected some potential hiding places for monsters, and we suspect there will be more scares here on Halloween Night. Next, you traverse the front yard, filled with decorations such as shrouded figures hoisting a coffin and the charred bodies of convicted witches, still tied to the stake. This is mostly atmospheric, but there are a few scares awaiting you. Finally, you enter a structure filled with boiling cauldrons, moving trees, and skeletons with Jack O'Lantern heads. 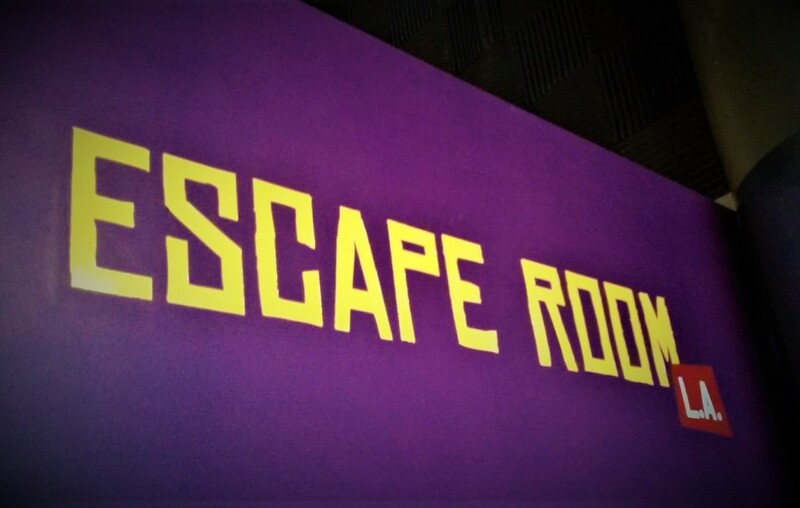 The black light displays is beautiful, but the colors serve a more sinister purpose, distracting your eyes from the dark spaces and hidden doors where monsters lurking, waiting to pounce. This is where most of the scares happen, providing your with a satisfying climax before you head back down the driveway. Situated on a corner house, the Haunt at Hellizondo is an impressive sight in a neighborhood that shares the Halloween spirit: there are several other decorated houses nearby, but there is no mistaking them for Hellizondo, which literally towers over the competition, thanks to a steeple appended to the roof, suggesting the 17-century setting before you even park your car. Thanks to some shrubbery, the yard is fairly isolated from the road, enabling the haunt, however briefly, to immerse you in its witch-hunting world of the past. Hellizondo Haunt will be open tonight from 6:30pm until 10pm. The address is 2134 Elizondo Avenue in Simi Valley, 93065. 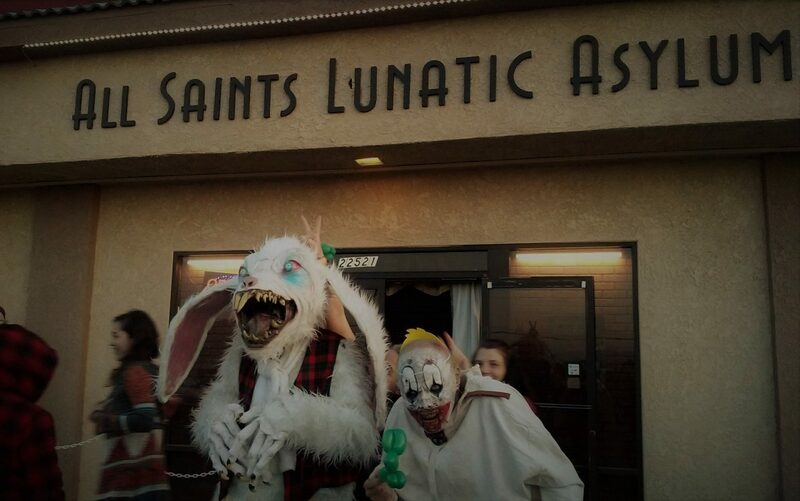 Note: We did not get to a third Simi Valley haunt, Butler's Area 52, which is open only on Halloween Night. The address is 3040 Moonstone Avenue, 93065.